The Hagatna Martial Art Center is a new facility that offers a safe and positive training environment for people with an open mind to improve their mental and physical strength. Learn self-defense, become physically fit, build character and gain confidence through our Kyokushin Karate and Kickboxing classes. With over 30 years of combined experience in training, instructing and international competition, our instructors can provide you the tools to achieve your goals. All of our instructors are certified in Japan and receive training from the International Karate Organization Kyokushinkaikan on a regular basis. Our students range from children as young as 5 years old to working adults with families. My son went to Hagatna Martial Arts Center for his basic Kyokushin Karate class. I’ve seen good outputs from him since then, not only physically but also on his self discipline. 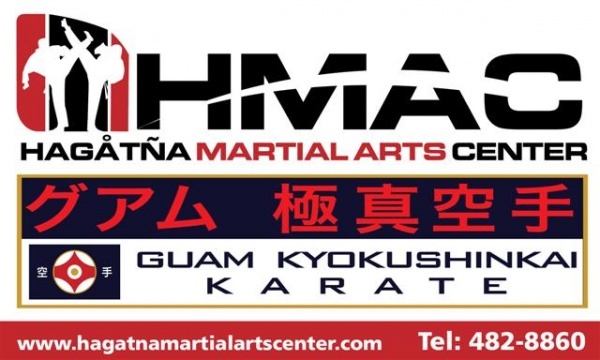 Hagatna Martial Arts Center offers excellent classes. They have outstanding community, skilled instructors and a cozy space. The best mind and body workout I’ve had.